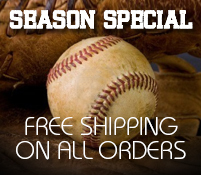 To provide our customers with the finest baseball and softball instruction through instructional DVDs, books and CDs. HittingVideo.com delivers on it's promise to provide you with the finest baseball and softball instruction for all ages and skill levels. From beginning players to the major leagues at exceptional prices. While many sport instructional web sites provide hundreds of products, HittingVideo.com has not chosen that path. Most of the instructional products that are reviewed never make it to HittingVideo.com Therefore, you can expect only the highest quality of instruction. If a product appears on our site you can be very confident it deserves to be There. All you need to do is order what you like and it is up to us to deliver it to your doorstep. In November of 1994, Bobby was inducted into the Atlantic City High School Athletic Hall of Fame, representing the first group of athletes recognized in the school's history. Bobby is also a member of the Association of Professional Ballplayers of America.